Hi hi... Not sure where this thread belongs to... So, posting here... Choy suggested using FishBase and so I'd tried... But really dunno how to use the database... Any advise? why? when you go to www.fishbase.org you get a query page, just fill in the fields you wanted to know. e.g. you want to know about Rasbora species, so just fill in Rasbora in the species fill and it will give you a list of species. that's it! Stiphodon is the genus name, elegans is the specific name. Okies! Will try again... When the fishBase page loads, that is! FishBase lags every now and then. The information is useful only if you are intending to learn more about the morphology and description data of a species, otherwise it'll come across as plain gibberish for casual browsers. I used FishBase every day and I love this search tool. When you know the shape of the fish, you can do a search by indentification. If you know the order of the fish, you select the order. 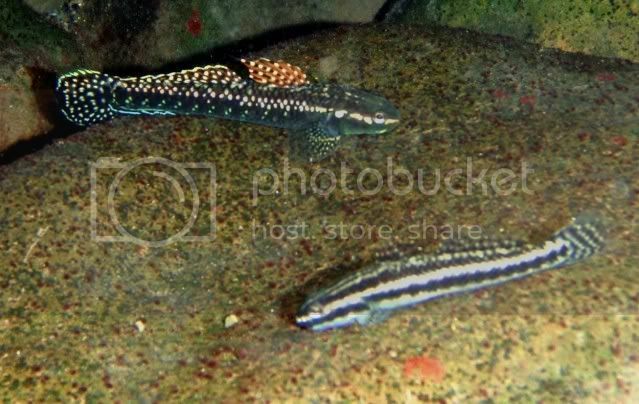 Example the gobies is a family of perch-likes. The researcher keith sent me a picture, here is the true Stiphodon elegans. You also have a book that is very interesting that Professor Keith Philip offered me.